The NSF Faculty Early Career Development, or CAREER, program is a foundation-wide activity that offers the National Science Foundation's most prestigious awards in support of junior faculty who exemplify the role of teacher-scholars through outstanding research, excellent education, and the integration of education and research within the context of the mission of their organizations. “This CAREER Award from the National Science Foundation has enabled my research group to work in a very exciting area of chemical synthesis over the next 5 years,” said Merner. The funding will allow two doctoral students, Nirmal Mitra and Caroline Merryman, to dedicate 100 percent of their efforts toward assisting Merner in the development of new strategies for the controlled synthesis of carbon nanotubes. Carbon nanotubes were discovered in 1991, and today they have broad applications in materials science, engineering, and biological sensing. They are used in batteries, dental implants, electronics, cancer detection, biological and biomedical research, drug discovery, water filtration, and more. The applications, although broad, are still limited due to complexities inherent in the construction of carbon nanotubes. Currently, scientists are trying to create carbon nanotubes by synthesizing benzene rings, stacked one on top of the other, using a bottom-up approach, to form a cylindrical network of carbon atoms – a carbon nanotube. Complications stem primarily from benzene’s resistance to adapting to a cyclical molecular structure, which has led to great difficulties in synthesizing these materials in a controlled manner. The current state-of-the-art for carbon nanotube synthesis leads to mixtures of non-uniform materials. The inability to construct uniform carbon nanotubes limits the possibilities and full potential of applications for usage, especially as it relates to advances in materials science and engineering research, where structurally uniform tubes are required. 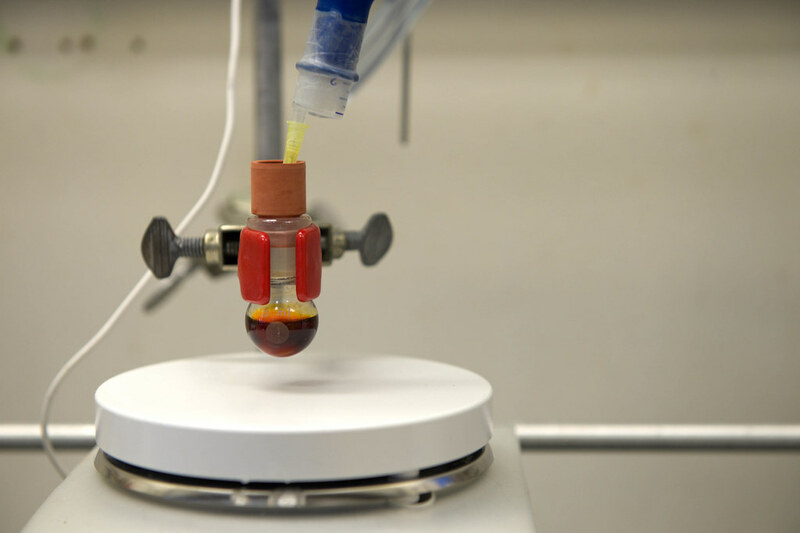 Merner’s group is seeking to discover more effective and efficient methods for constructing carbon nanotubes by building smaller sections of carbon nanotube that can be assembled into larger components of carbon nanotubes in a systematic way. 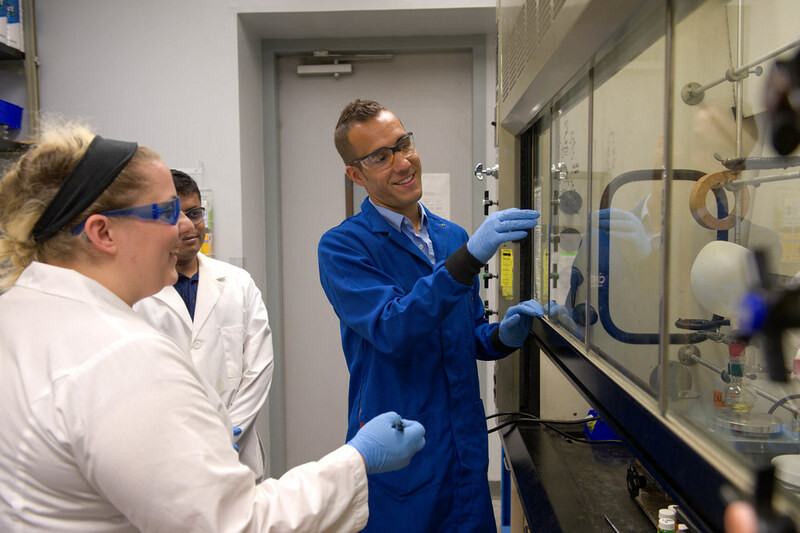 The NSF Early Career Development Award will allow two of Merner’s doctoral students, Nirmal Mitra and Caroline Merryman, to dedicate 100 percent of their efforts toward assisting him in the development of new strategies for the controlled synthesis of carbon nanotubes. In addition to the research function of the grant, Merner is developing an educational component involving the development of chemical synthesis-teaching modules that are offered to rising junior and senior high school students in the Southeast who participate in the College of Sciences and Mathematics’ Summer Science Institute. Underrepresented, undergraduate students will also have an opportunity to participate in a graduate-level, chemical synthesis, summer research program, and students enrolled in the honors organic chemistry course at Auburn will synthesize materials used in research efforts in the Merner lab. 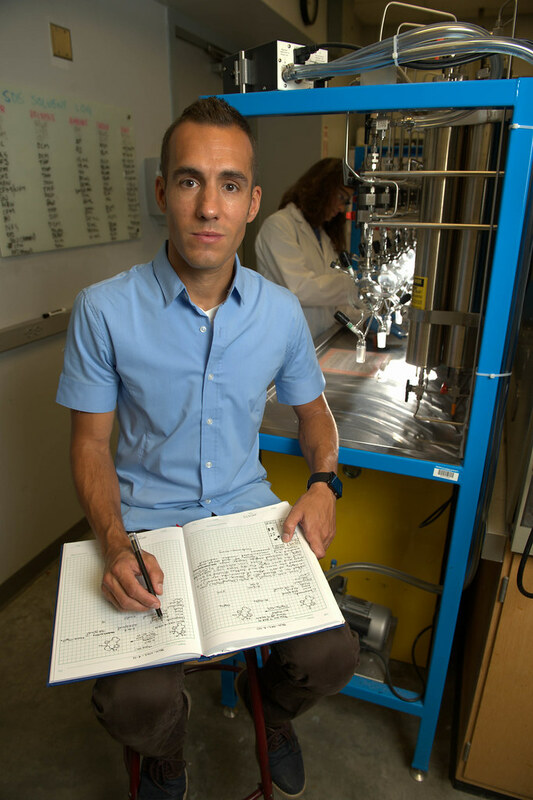 Merner has six doctoral graduate students in his lab, including Mitra and Merryman, as well as Kara Johnson, Sydney Jackson, Ana Dmytrejchuk and Nirob Saha. For more information on Merner’s lab, visit his website.